Next PostNext Magic Kingdom Entertainment Rated: Least to Most Favorite! While Disney is a family destination, there are some highlights exclusive to the big kids! One of these is an extensive selection of grown-up beverages around the World. We’ve done the research, (someone had to!) and here are five great places to grab a beer at the Walt Disney World Resort. Nestled on the shores of Bay Lake, as an extension of the Wilderness Lodge, is the Geyser Point Bar and Grill. This quick service location features eats such as a Bison Burger, Roasted Salmon, and Cheesy Brisket, which you can enjoy alongside a beautiful view in comfy couches. More importantly, for the purposes of this post, is the lengthy bar menu. Geyser Point hosts an extensive list of beers, wines, and cocktails — many of which feature Northwestern US flavors to fit with the Wilderness Lodge theme. Zeroing in on the beer menu, we immediately noticed how long the list was, and how many beers were offered on draft. Two of our favorites came from the Elysian Brewing Company out of Seattle, Washington — the Space Dust IPA and the Dragontooth Stout. 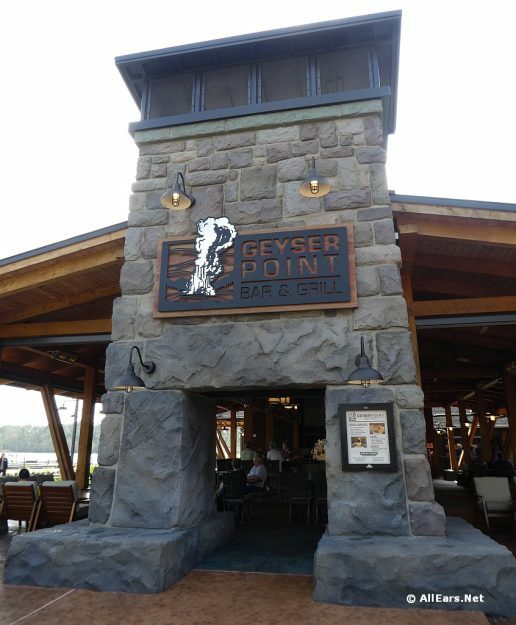 Geyser Point is a great place to enjoy an extensive draft beer list and a delicious, unique menu, all with a great view. For those craving a cold beer during their wild day at Disney’s Animal Kingdom, we suggest swinging by the Nomad Lounge! 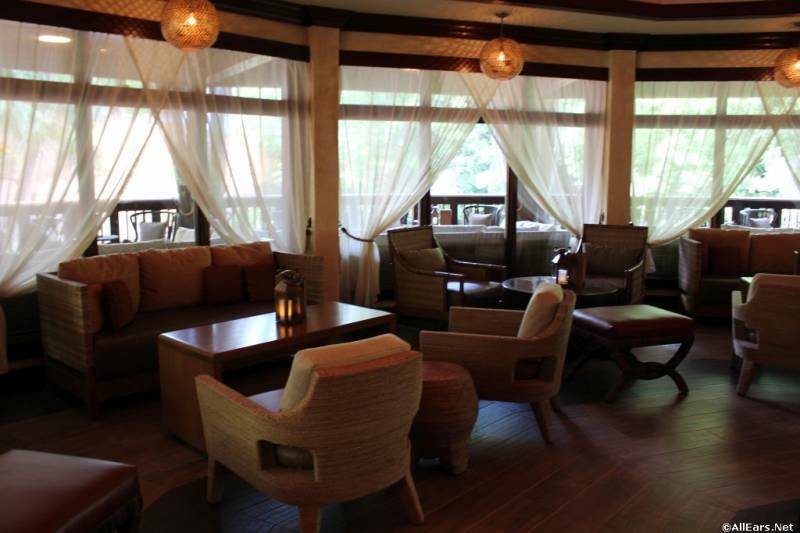 You’ll find the lounge connected to Tiffins, Animal Kingdom’s signature restaurant, just before crossing the bridge into Pandora. My favorite thing about the Nomad Lounge is the giant wrap-around porch, complete with comfy chairs and couches. Sitting under the fans, enjoying a light bite and refreshing beer, you might just forget you’re in a theme park! The menu looks like a journal, and the signature cocktails are made to be the entries, complete with illustrations. There is a unique list of beers from all over the globe, including countries like Kenya, Thailand, China, and Mexico! 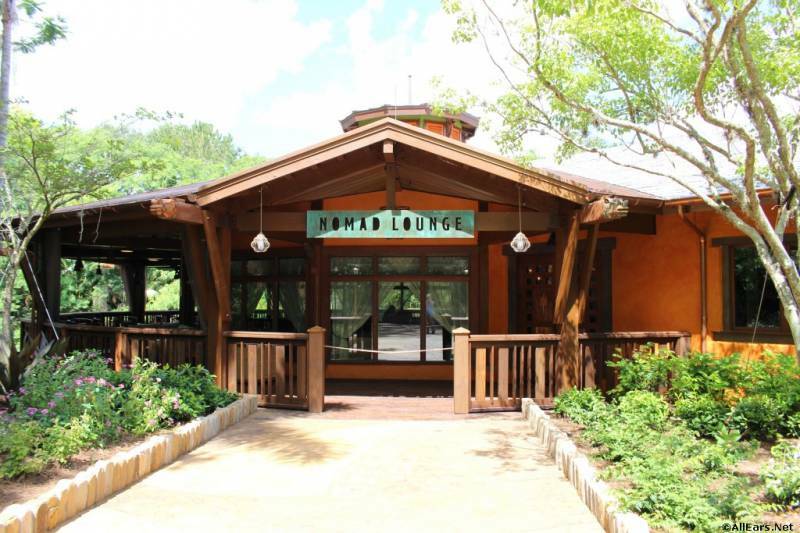 But, the main reason the Nomad Lounge made our list is the Kungaloosh Spiced Excursion Ale. This delicious beer is brewed exclusively for the Nomad Lounge and Tiffins — meaning you can’t find it anywhere else in the World, or the world! 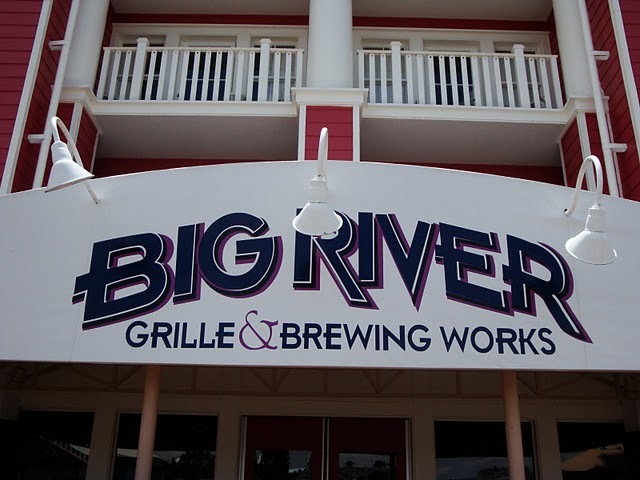 Located on Disney’s BoardWalk, Big River is the only place on property where they actually brew beer on-site! 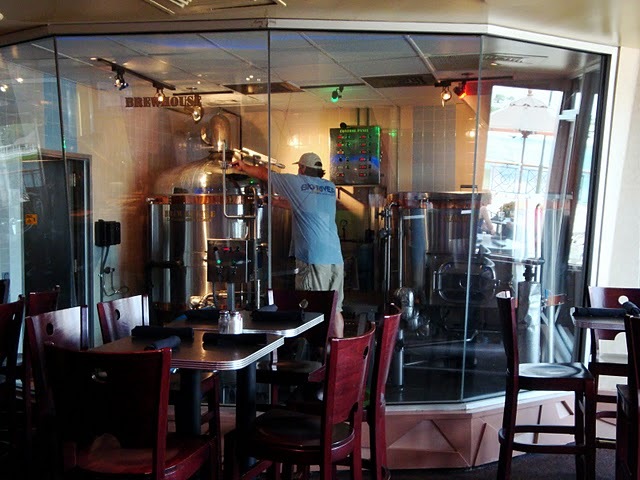 The micro-brewery boasts a full-service lunch and dinner menu, along with a large selection of craft beer. You can enjoy your beer inside where floor to ceiling windows showcase the brewers at work, or you can sit on the big porch outside with a beautiful, waterfront view. For a light, crisp beer, we suggest the Southern Flyer Light Lager, or for something a little bolder try the award-winning Rocket Red Ale. They also have a rotating selection of seasonal beers to choose from. Can’t make up your mind? Try a beer flight, which serves up sample sizes of each beer on tap so you can find a new favorite! You can’t put a list together of great places to enjoy a beer without including the Rose and Crown! 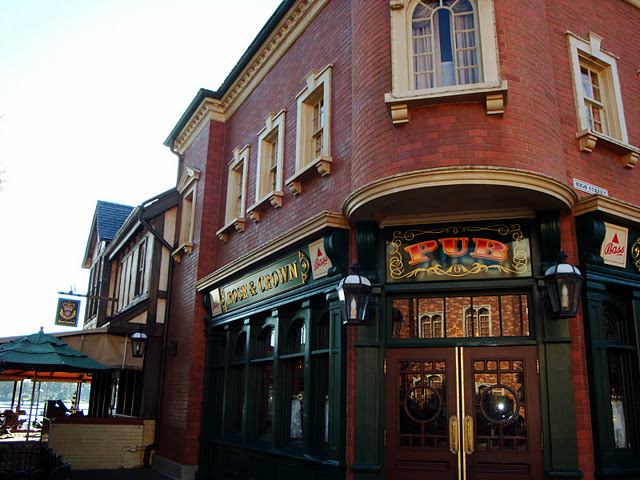 Located in Epcot’s United Kingdom Pavilion, the pub is a fan favorite spot to grab a pint. Of course the menu is comprised of UK brews, such as Guinness, Bass Ale, and Strongbow Cider. They also have a wide selection of “Pub Blends” which are mixes between two beers, or other additions such as black currant juice. 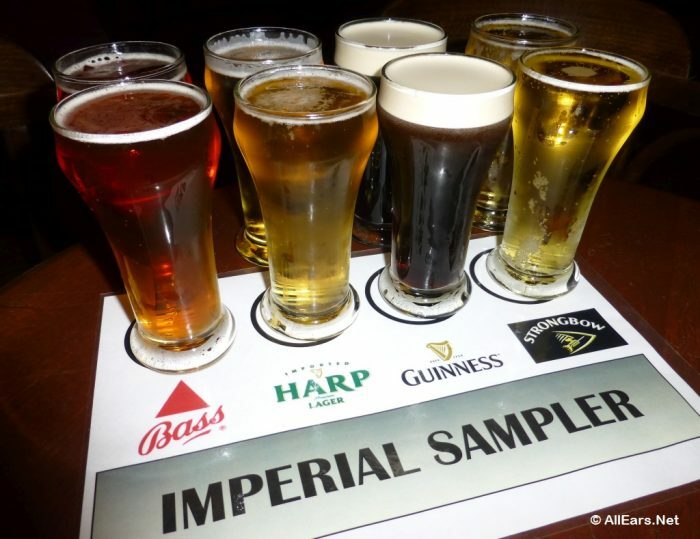 I recommend the “Snakebite,” which is half-Harp and half-Strongbow, or the classic “Black and Tan,” which is half-Bass and half-Guinness. Pro-tip, grab your beer to-go and enjoy the band, The British Revolution, play some classic rock in the courtyard! 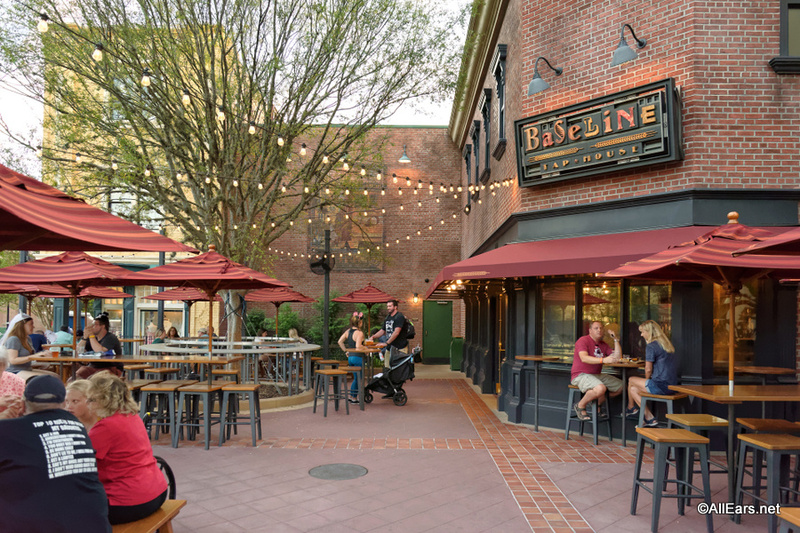 Located in Disney’s Hollywood Studios, Baseline is the newest lounge in Walt Disney World. The story behind the bar is that it used to house a mom-and-pop printing company that had ties to the Disney Studio in Burbank. When you look around, you’ll see old printing artifacts, as well as industrial architecture and exposed brick walls. Once you step up to order, you may notice that all of the beers on tap are from California — paying homage to the Disney Company roots. If you can’t decide from the many brews offered, we recommend a beer flight. The flights are make-your-own, so you get to choose any four beers you want to try. Baseline also features California wines and signature cocktails, as well as bar bites like a big pretzel and charcuterie board. The outdoor patio has extensive seating at high-tops and long tables, under lengthy canopies. This is truly one of the most enjoyable places on property to sit back, relax, and enjoy a good beer. 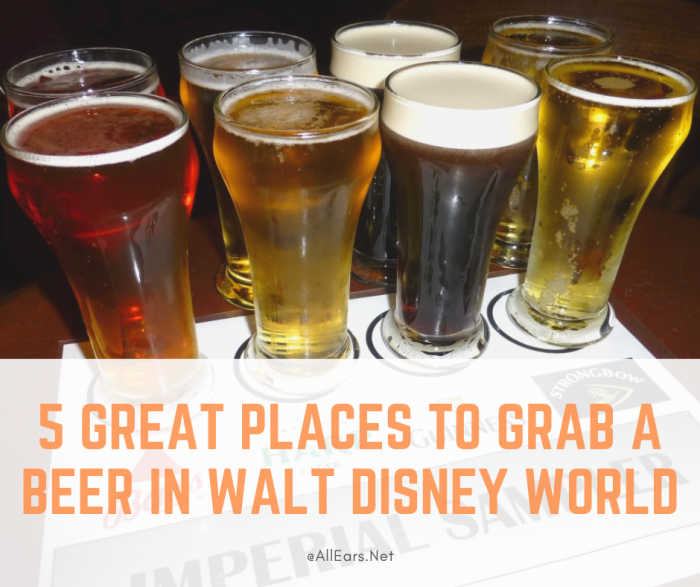 What’s your favorite spot to get a beer in Walt Disney World? Let us know in the comments! And make sure to sign up for the free AllEars® Newsletter for weekly tips, tricks, reviews, and pixie dust! Next PostNext Mary Poppins Returns Tickets On Sale Now — and a New Clip Just Released! I always try to make it to the Dawa bar. I am particularly fond of Tusker. I agree with you 100% I have no problem with having a drink but how about we keep it OUT of the parks. I know that this will NOT happen but it would be nice. There are plenty of places at the resorts or in Disney Springs to enjoy a drink. Plus all drinking alcohol does is dehydrate you.